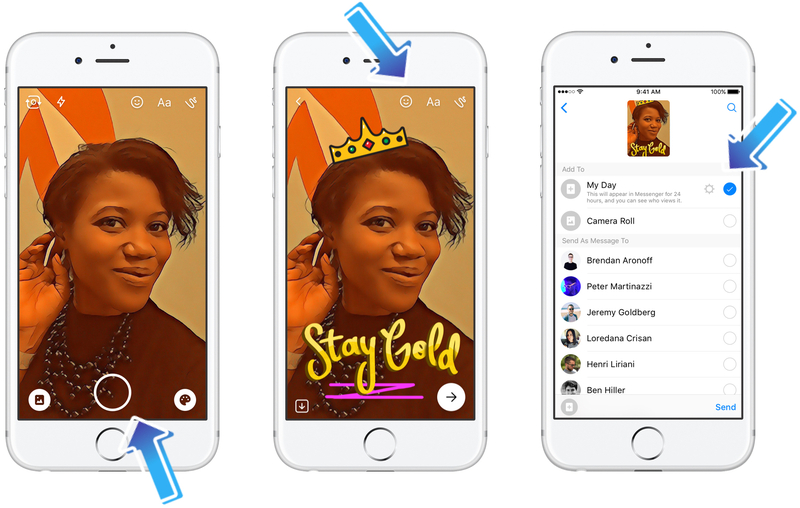 At the same time, we also began testing a way for you to share these photos and videos — as they happen — by adding to your Messenger Day, where many of your friends can view and reply to them. 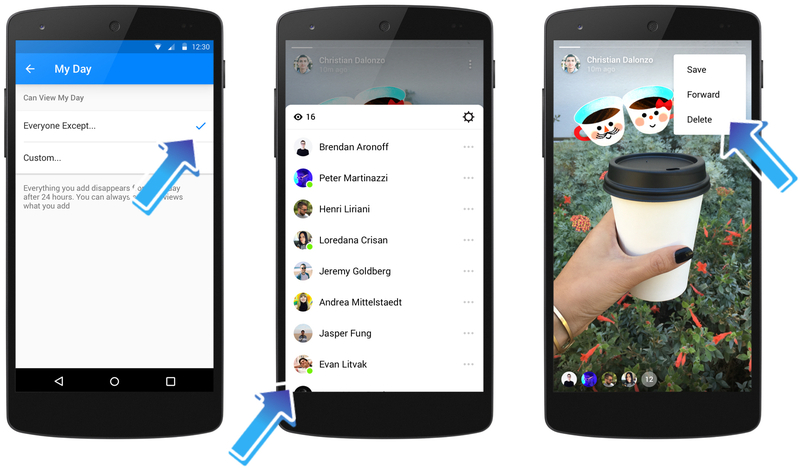 You’re always in control of who can see your day — share it with everyone, or choose specific friends and family members on Messenger. Since everything you add disappears after 24 hours, feel free to add as often as you want. 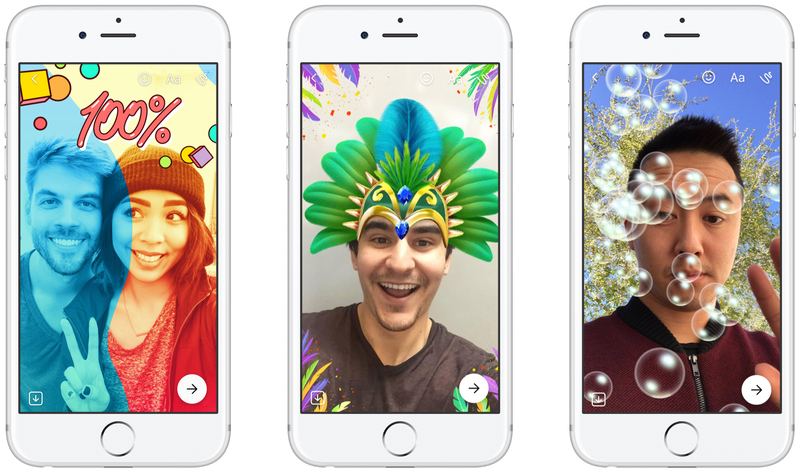 Millions of people around the world have already used Messenger Day to show what they’re doing, how they’re feeling and to invite friends to join them for activities — or just to chat. 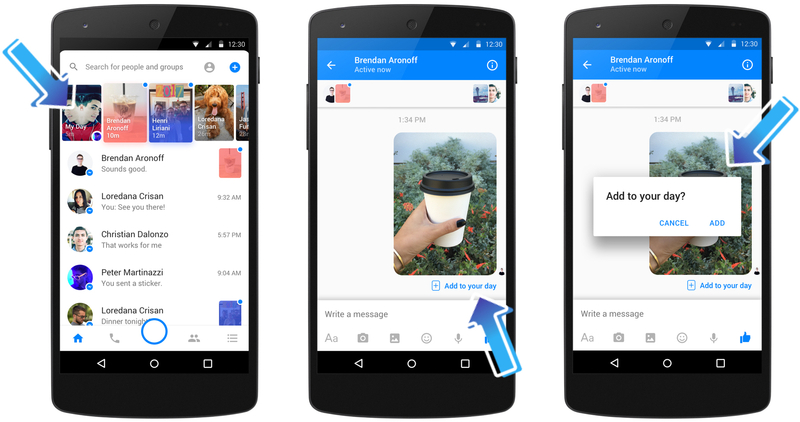 Today we are starting to roll out Messenger Day globally on Android and iOS. For more information on Messenger Day, be sure to check out the Help Center.